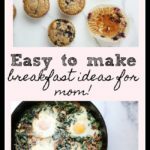 With Mother’s Day around the corner, I thought I’d share some of my favorite easy to make breakfast ideas for mom! 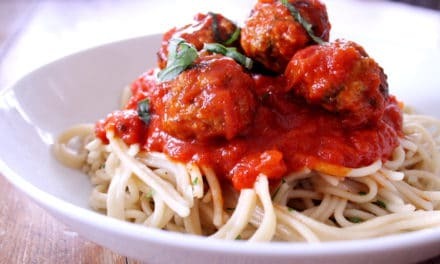 These recipes are packed with flavor but are straightforward enough for anybody to master (meaning if you’re a mom, feel free to forward this post along to your loved ones!). 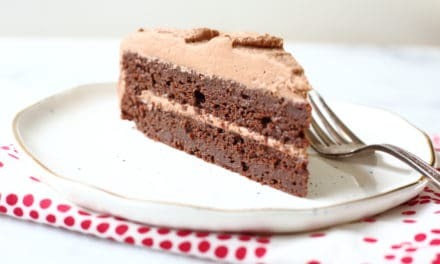 *As always, all of these recipes can be made gluten-free! 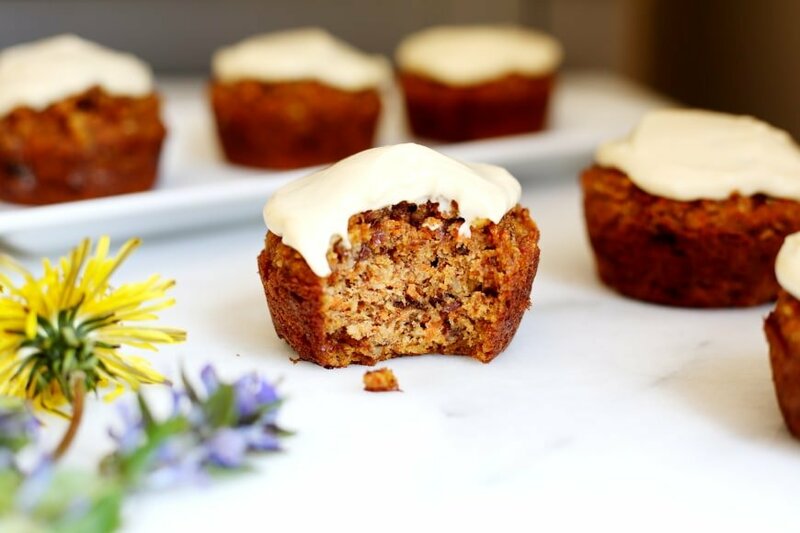 These nutritious carrot cake muffins taste just like carrot cake, especially when slathered with a maple cream cheese frosting. 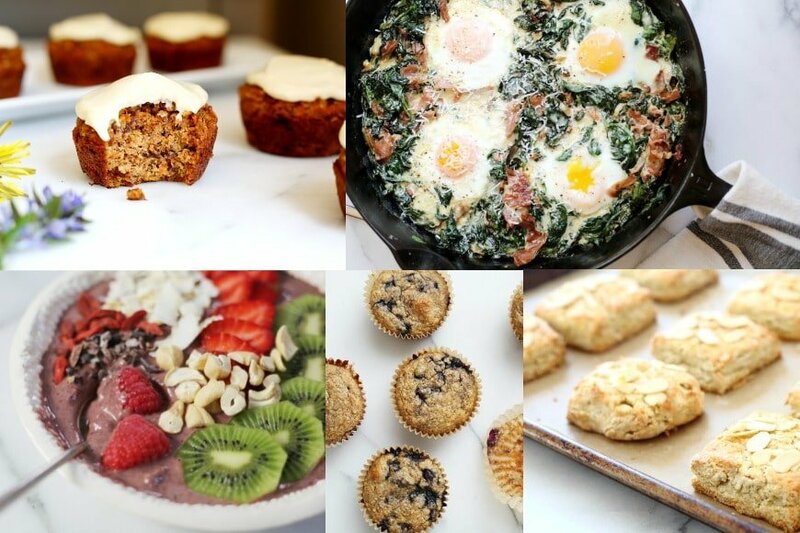 Meaning it’ll feel like you’re eating cupcakes for breakfast!!! The batter AND the frosting get made right in the Vitamix or food processor, so they’re easy peasy. 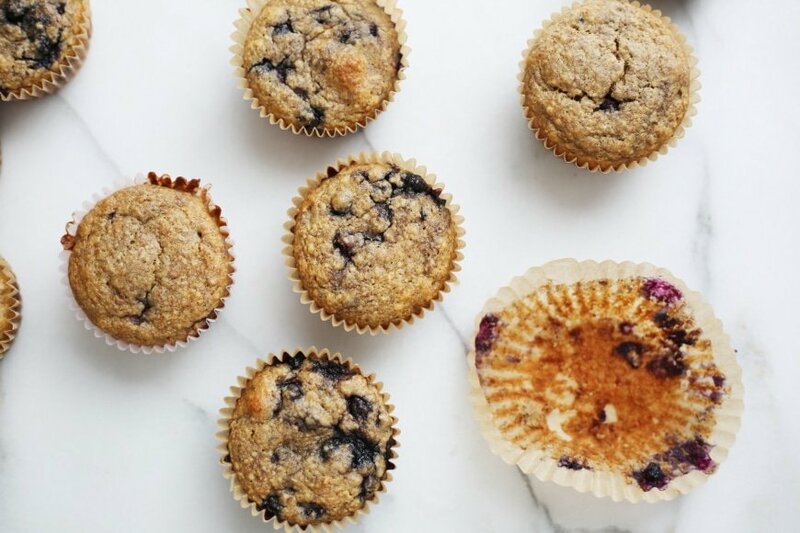 For a simpler approach, you can’t go wrong with these blueberry blender muffins, which are also whipped up in minutes in a Vitamix or blender. I prefer to eat them in bed with salted butter, fresh fruit and a cup of hot tea (ok, I’ve never actually eaten them in bed, but James, if you’re reading, this is officially your hint). 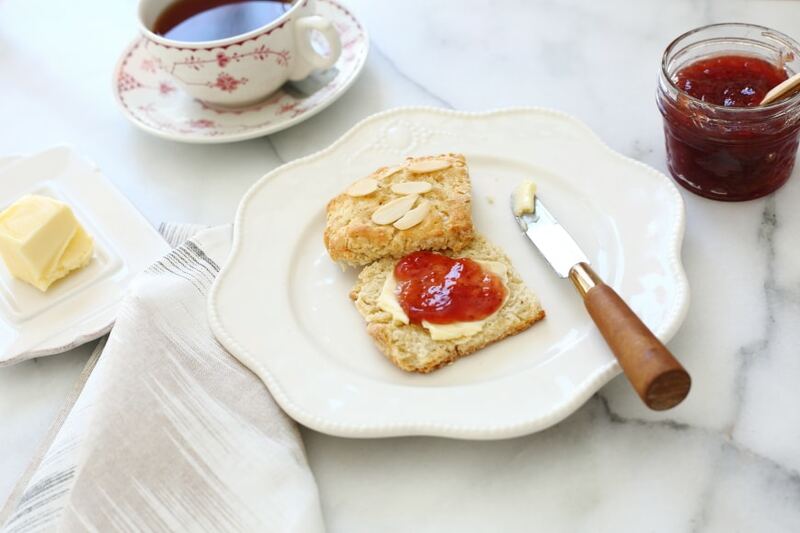 These tender almond scones are quite possibly the best addition to a brunch spread ever. Serve them with butter and jam OR transform them into shortcakes with berries and whipped cream. Or do both (I wouldn’t complain)! Would you believe that the batter for these pancakes gets made right in the blender? 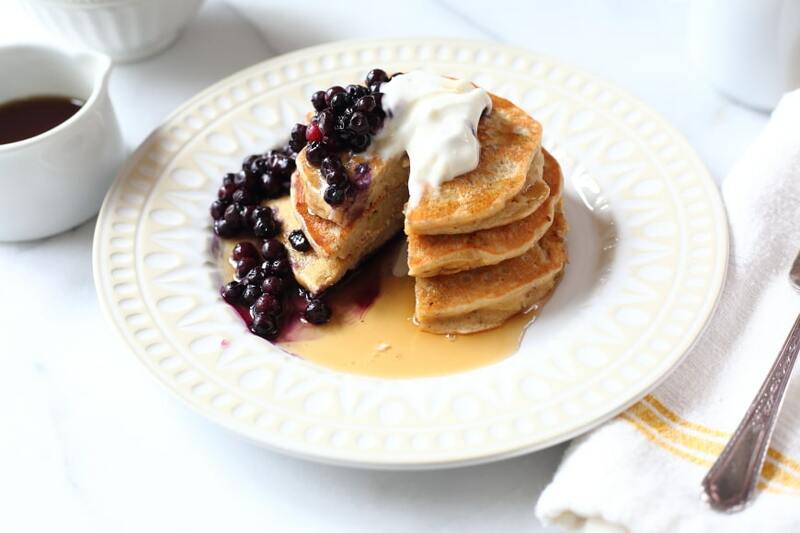 Made with rolled oats and almond flour, the pancakes are hearty but light, and even pretty healthy (not that you’d know it). 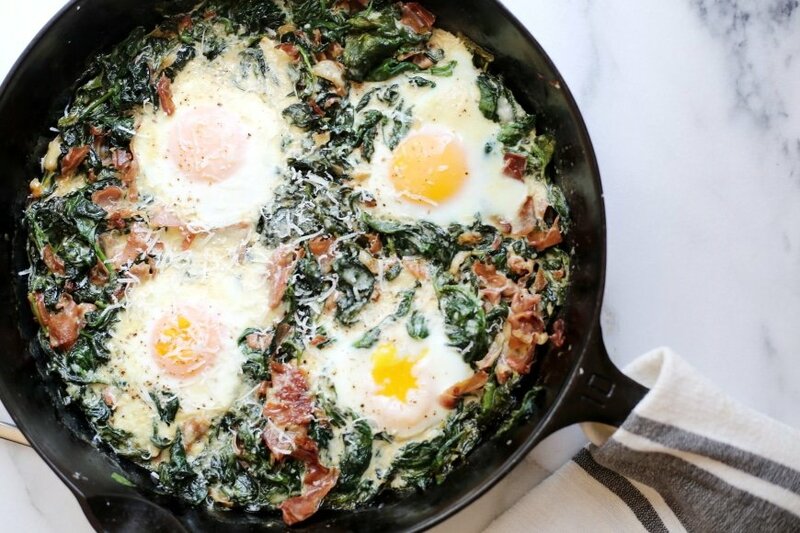 This is a breakfast that is sure to wow mom. 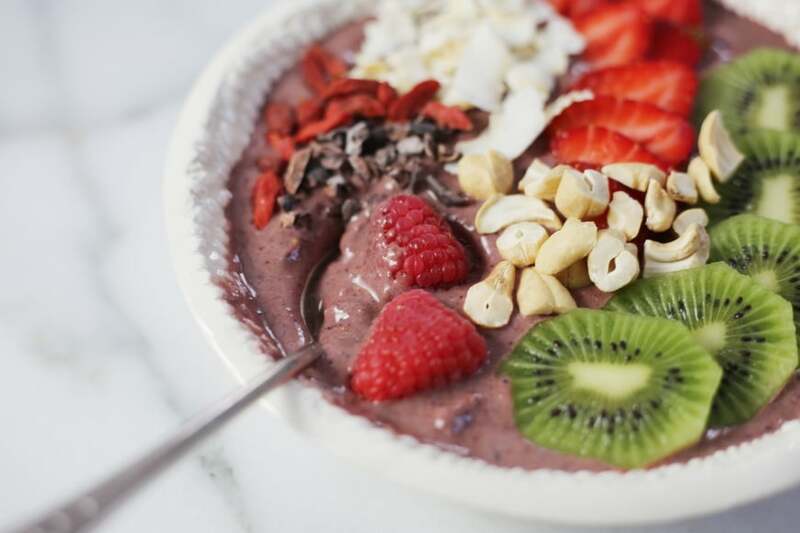 For a more healthy approach, nothing beats this superfood smoothie bowl, which will make you feel like you’re eating ice cream for breakfast (!! 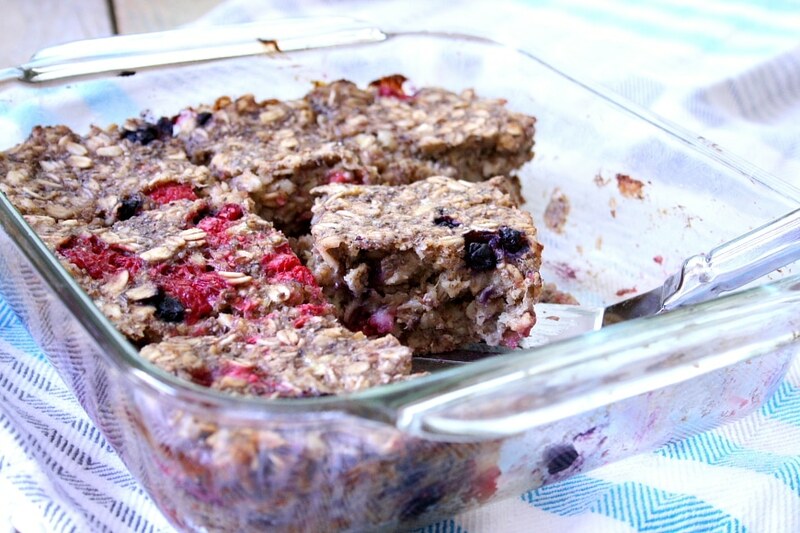 ), but which is packed with superfoods such as wild berries, raw cacao powder, goji berries and hemp seeds. Top it with a variety of fresh fruit, and it’ll be as pretty as that bouquet of flowers you forgot to buy. These baked oatmeal bars are golden on the outside, soft in the middle, and irresistibly sweet. 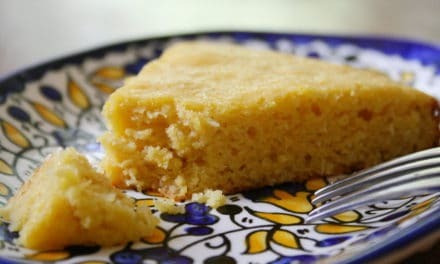 They just happen to be made without any refined sugar, eggs or dairy, but they taste so good that your mom won’t care! For a fancier approach, serve the bars warm in shallow bowls with a splash of milk or cream. Mimosas are optional. Now that we’ve got the menu out of the way, below are a few of my favorite foodie gift ideas for mom! Wustof Ikon 2-Piece Knife Set: My Wustof Ikon Series Santoku blade is the go-to knife in my kitchen for everything from chopping vegetables, to slicing meat, to cutting up the fruit for my kids’ breakfasts. This set comes with a paring knife at a great price! Six Seasons: A New Way with Vegetables: This award winning cookbook by chef Joshua McFadden has been on my wish list for months (ahem, another hint, James!). It’s packed with vibrant, exciting recipes that just happen to feature vegetables as the star. Cooking for Jeffrey: A Barefoot Contessa Cookbook: If your parents are empty nesters like mine, this cookbook is a great option (we got it for my mom for Christmas, and she loves it). Garten is known for her foolproof recipes, and this one doesn’t disappoint. Bravetart: Iconic American Desserts: For all the bakers out there, this book by Stella Parks is a must. It features from-scratch version of classic American treats and is packed with history and stories. It’s a book you’ll enjoy equally cuddled on the couch as you will in the kitchen. Vitamix: If you want to splurge, a Vitamix is where it’s at! Your wife or mom will feel like she just won a new car (it’s the Porsche of my kitchen). I use mine almost every day, not only for smoothies and soups, but also for batters (see above! ), sauces and fruit ice creams. Craftsy: Give your mom the gift of education with a Craftsy Unlimited membership! She can take online classes on everything from photography, to painting, to knitting and sewing, to cake decorating and baking. 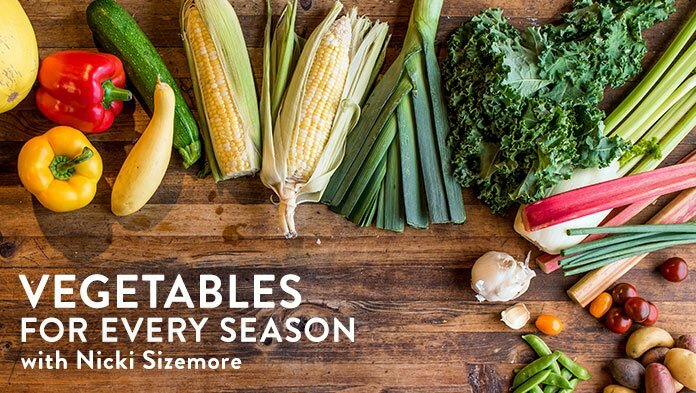 She can even stream my cooking class, Vegetables for Every Season! I can’t wait to try these! I am having a girls’ weekend this summer and perfect recipes to make for them! Yay! 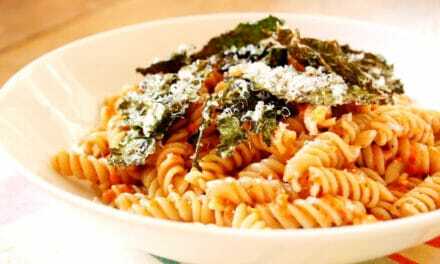 I wish I could be there on Mother’s Day to cook these for YOU! !